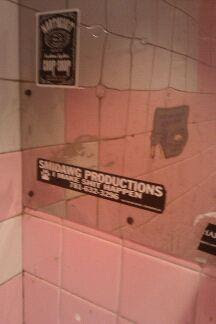 Smidawgs Productions was top notch in 08-09. Business cards, t shirts and bumper stickers. Promotions! Promotions! Promotions! Did the Smidawg move to fast? Did he get burned out? Did he expand too quick? One week he is in contract talks to sponsor a fighter, under the Smidawg moniker and then BLAM he is out there pounding sand. With the biggest match in UFC history coming up this Saturday, it makes you wonder.